Core Development Core is a Toronto based developer which benefits from years of experience in the industry. In fact, their founder and CEO, Corey Hawtin, comes from old developer stock, and is the third generation of real estate developers in his family. 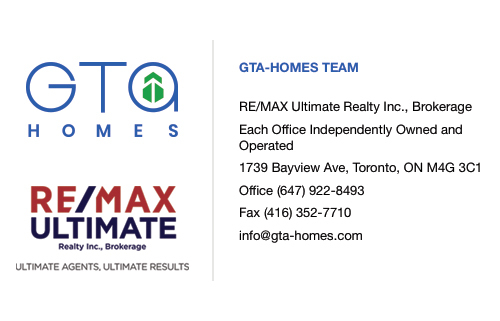 He has been surrounded by the real estate development industry, and has learned the ins and outs of building successful real estate projects in Toronto. Just because he relies on generations of experience, doesn’t mean Hawtin and his company are stuck in the past. In fact, it’s quite the opposite! They strive to create homes that push the boundaries of construction and design. They are able to do this by working with some of the best and most accomplished professionals in the industry. All of these elements work together so this builder can source, capitalize, develop, and manage a wide range of projects. The company has a fantastic team that works together to build spellbinding condos, but you can’t examine this group without taking a close look at their leader, founder and CEO Corey Hawtin. As mentioned above, he is a third generation real estate developer. This immersion into the industry has greatly contributed to the level of experience and management expertise in the company. After graduating from Guelph University with a major in Finance and Economics, he went on to work as a Project Manager for Windemere Custom Homes. It is this combination of experiences that allow him to also own and operate his affiliate construction companies, which include Mazenga Building Group Ltd., an upscale commercial and construction company. Core Development Group focuses on creating developments that push the boundaries of design and construction. Their aim is to create unique urban developments, and this can be seen in all of their projects. One way they’re able to pull this off is by working together with industry leaders. They have an impressive list of affiliates that have been able to facilitate their objectives in the industry. The list of affiliates includes RAW Design, which is an award winning architecture and design studio. RAW believes that excellence and creativity aren’t luxuries, rather they’re integral elements to creating any development. It’s this belief that earned them the OAA Award for Best Emerging Practice in 2009, a Brownie Award for Best Overall Development in 2011, as well as several other awards from the OAA and the Toronto Urban Design Awards. When approaching their own projects, they follow their own set of rules that have strongly influenced their success. These five all important tenets are: direct deals, thinking differently, open process, investor oriented, and full service support. Together these ideals culminate into a complete developer that is capable of undertaking any project. The last of these approaches is ‘full service support,’ but it may be the most important aspect of their building method. With each project, they are prepared to deliver property acquisition, due diligence, financing, development management, construction, and project monitoring. After taking a look into what this company is all about, it’s easy to identify Corey Hawtin’s real estate development pedigree. He understands that in order to be a successful builder, you must offer a fully encompassed service. This has allowed his developing company to be a cut above the competition. 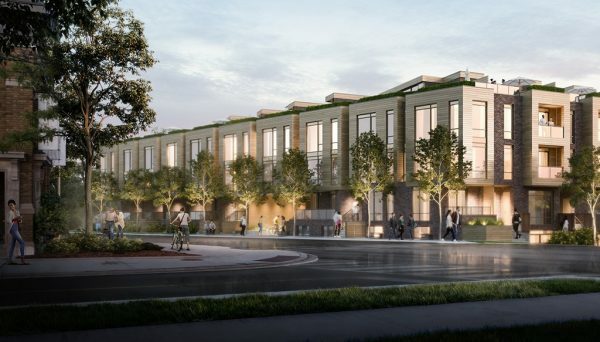 They also understands the importance of developing for the future, which is why their condos always feature cutting edge design and functionality. 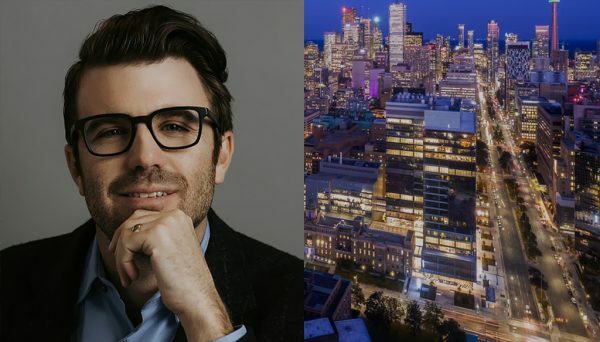 We expect that their buildings will continue to speckle throughout the GTA, and we can’t wait to see how they evolve and grow to become one of major builders in the city. These homes demonstrate everything this builder is about. They are modern and sleek designs located in one of the city’s most promising neighbourhoods. The exterior of these seven homes are anointed with angular wooden facades while the interiors are equipped with modern amenities and appliances. 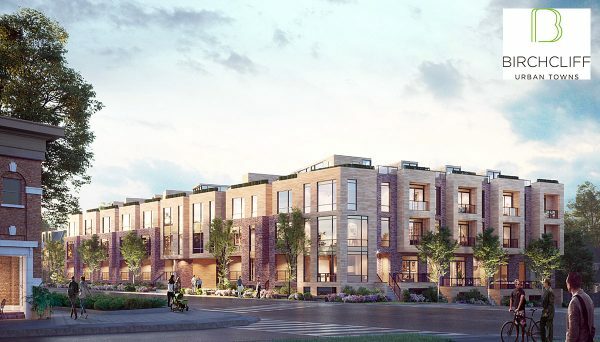 These homes were designed with the family in mind, which is part of the reason they are built in the quiet community of Leaside. This is also the future site of the Eglinton Crosstown LRT. This light rail transit system will catalyze commercial and residential growth along Eglinton Avenue, making this development an incredibly wise investment for anyone lucky enough to grab a suite. Construction was completed in the summer of 2016, and their address is 583 Eglinton Avenue East.